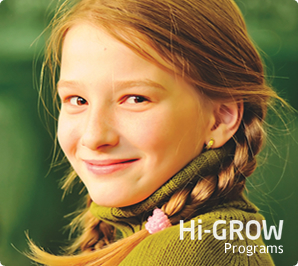 Provides students with a lifelong love of learning, responsible citizenship, and personal integrity. 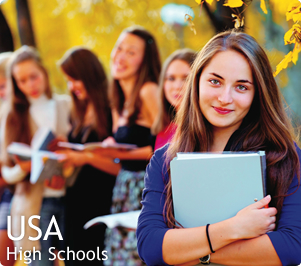 Enrich your world: Study and live in U.S. Studying in the U.S. will enable students to take part in a wide variety of American celebrations. They will experience a host of traditional events, including costumes on Halloween and a traditional turkey dinner on Thanksgiving. In their free time, students will have the opportunity to play American sports. Most schools offer baseball, football, basketball and soccer (futbol). Other schools offer equestrian teams, skiing, sailing, lacrosse, and track and field. If your son or daughter loves to perform, sing, or dance, most schools have professional-quality performing arts theatres. Weekend trips are also arranged so that your child has the chance to explore America with their school friends. Many students and their families choose boarding schools for the unparalleled college preparation, outstanding faculty, and classroom facilities that are equipped with the latest technology. In addition, campuses and dormitories provide a secure environment. Boarding schools are very aware of the importance and value of the performing and the visual arts. Numerous exhibitions and performances enliven the schools’ calendar. These programs often attract enthusiastic audiences and provide a showcase for individual talents as well as group efforts. An assortment of clubs and organizations play a major role at boarding schools. No matter how diverse a student’s interest, there are always other students eager to get involved in new clubs and activities. These clubs and organizations often sponsor weekend activities that often shape a students awareness and aesthetic sensitivity.